Response: In the Phase 1interim study, VLA1553 was shown to have both a positive safety profile and excellent immunogenicity after a single-shot vaccination with a 100% seroconversion rate. The pooled safety profile of all groups was found to be acceptable, which supports further development of the vaccine candidate. No serious adverse events nor adverse events of special interest were reported up to Day 28 and the local tolerability was considered excellent. Response: Chikungunya is a growing public health threat that poses a large unmet medical need for a defensive vaccine. 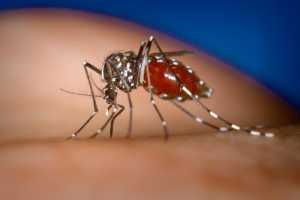 Vaccination is the most effective method of prevention against an infectious disease such as chikungunya. We are working to deliver both a safe and effective vaccine against chikungunya as quickly as possible in order to help reduce the global burden. Response: The next steps for VLA1553 include a Phase 1 revaccination that is expected by mid-year. With the help of the FDA Fast Track designation, we will work closely with the FDA to create a development strategy, so that we can deliver an effective and safe vaccine as quickly as possible. MedicalResearch.com: What are the next steps as result of this work? Response: In addition to VLA1553, our team is also developing a vaccine candidate for Lyme disease, VLA15. Currently, there is no vaccine available to protect humans against Lyme disease, the most common tick-borne disease in the Northern Hemisphere, and there is significant unmet need for a vaccine as the disease footprint widens. Our vaccine candidate, VLA15, is designed to protect people against Lyme disease and has the potential to be the only EMA/FDA-approved vaccine on the market that can prevent Lyme disease transmission to humans. VLA15 is currently being tested in a Phase 2 clinical study to determine the optimal dose and dose schedule of VLA15. In addition to VLA15, we have a strong portfolio of commercial and developmental vaccine assets that help position us a leading vaccine biotech. This entry was posted in Author Interviews, Infections, Vaccine Studies and tagged Chikungunya, mosquito, vaccines, valnevaSE by Marie Benz MD FAAD. Bookmark the permalink.